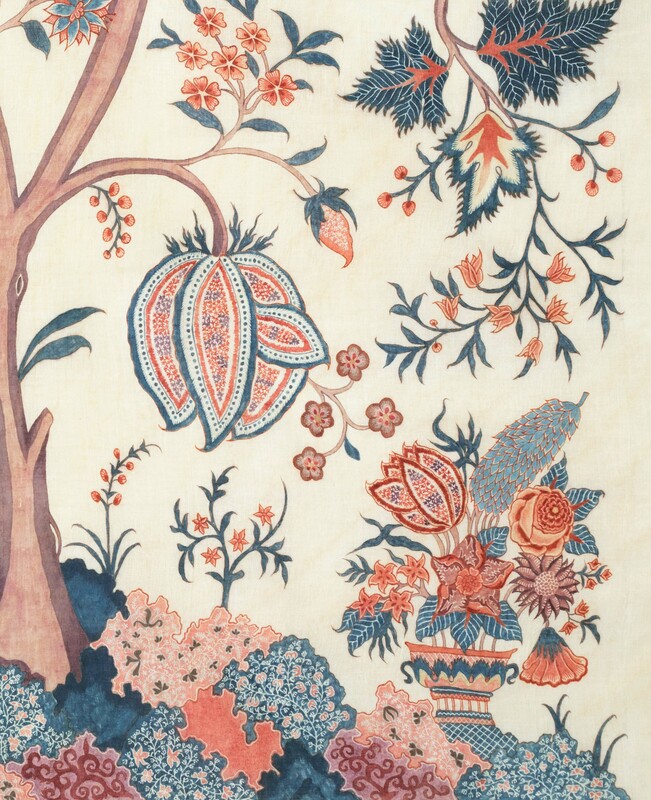 Chintz was an Indian trade textile that was hand-painted, resist-and- mordant dyed cotton. It is the epitome of artistic and design exchange across cultures and continents, made using a technique that is defined as the peak of excellence in hand-painted textiles. A technique in which layer after layer of perfection was painstakingly painted using natural materials such as buffalo milk, natural dyes, mordants, wax and dung. Indeed, as Dutch agent Daniel Harvart observed in 17 th century, “very slowly, like snails which creep on and appear not to advance. Yes, he who would wish to depict patience would need no other object than such a painter”. I paint with a kalam, in stillness yet creating motion, a dance of the undulating trees with a thousand little details. Forever in present yet I travel in time, paying tribute to the many unknown artisans, their heritage resonating within me. 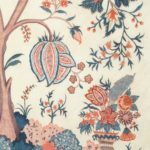 Chintz originated as a hand painted, mordant and resist-dyed patterned cotton cloth from India. A prized trade cloth for centuries, it had a profound impact on many textile practices around the world, from calico printing in the West to Javanese Batiks in the East in the 17 th and 18 th century. It was so popular at one time that Western countries banned its import in fear of economic instability in their local textile trades. Besides causing a revolutionary change in taste and fashion, it is the epitome of artistic and design exchange across cultures and continents. That from an era of such basic existence came a sophistication and technical excellence unmatched to date is astonishing. 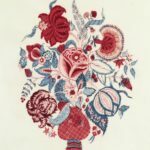 Magnificent, these textiles are, and perhaps, even more captivating are the techniques and processes used to make these textiles. Techniques that evolved for thousands of years produced the most brilliant, fast and myriad of colors using natural dyes and materials. It’s magical. It’s chemistry but magical and mysterious nevertheless. That someone figured out dung and sunlight can bleach the cloth pristine white yet leave all the dyed areas untouched and bright. That someone figured out how to draw wax lines finer than can be drawn with a pen. It’s genius. It was empirical knowledge not theoretical but genius nevertheless. This complex craft has morphed in to a simplified version today, synthetic dyes replaced natural dyes and fine wax resist technique lost and forgotten. Inspired by the beauty and workmanship of historic chintzes and compelled by the unknown, I ask “is it possible to produce 18 th century quality chintz today?” As I rub the buffalo milk and myrobalan in to the cloth, as I gently coax the color out of madder, as I paint a wax line willing it to be finer and finer, even as I become a familiar sight to a certain flock of sheep greeting me every evening with their baaa. I am seeking. I am seeking to unlock the secrets of this mysterious art.